After winning the Test and ODI series, the Indian team will now lock horns with West Indies again in the T20 series. The first match of the 3-match T20 series will be played on 4 November at Eden Gardens, Kolkata. While, Virat Kohli has been rested in this series, the selectors have shown the way out to former India captain MS Dhoni as well. In such a situation, Rohit Sharma will now command the Indian team. Rohit has done a fantastic job in the ODI format and everyone expects that he will continue his form in the T20 series as well. 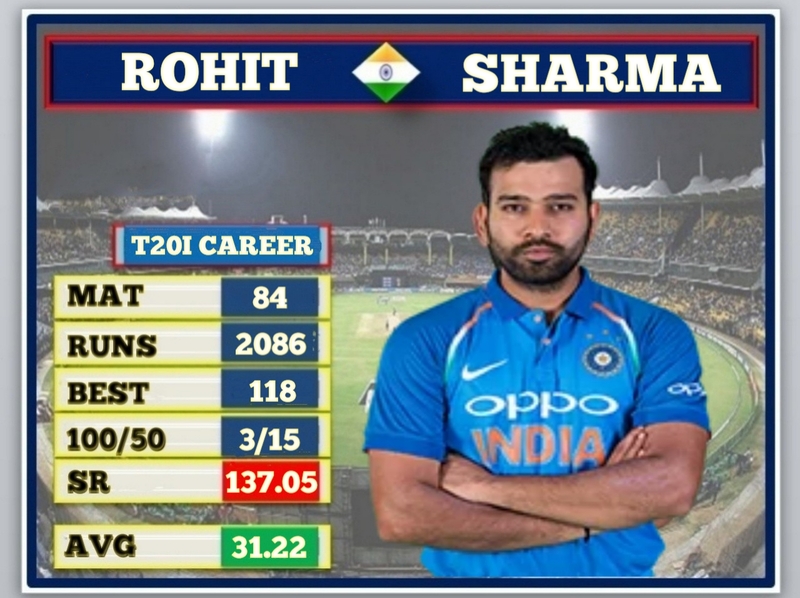 Meanwhile, Rohit can also create these 3 big records in the T20 series. 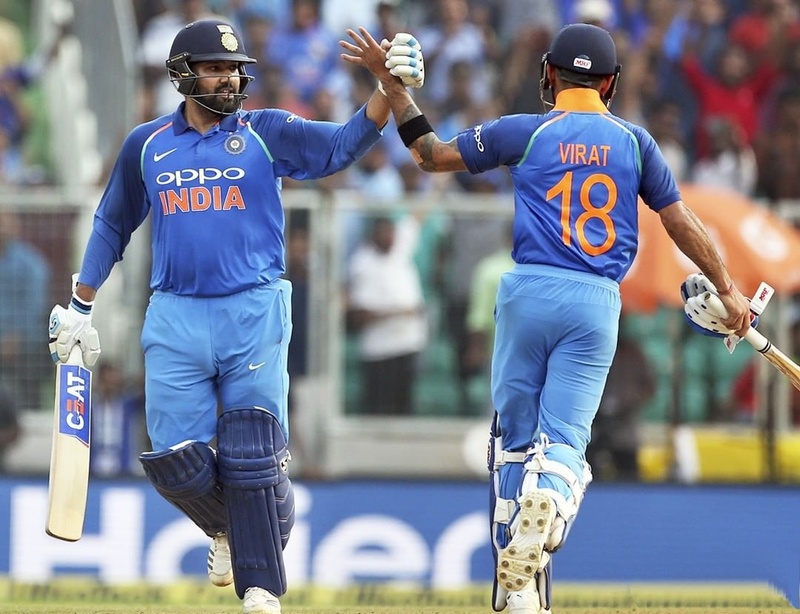 Rohit Sharma has scored three centuries in T20ls so far and he is jointly in first place with New Zealand's Colin Munro who have also scored 3 centuries in this format of the game. Now if Rohit score a hundred in this series, he can make a world record and he will become the player with most centuries in T20 Internationals. Rohit Sharma has played 84 T20ls so far. In these 84 matches of 77 innings he has scored 89 sixes. 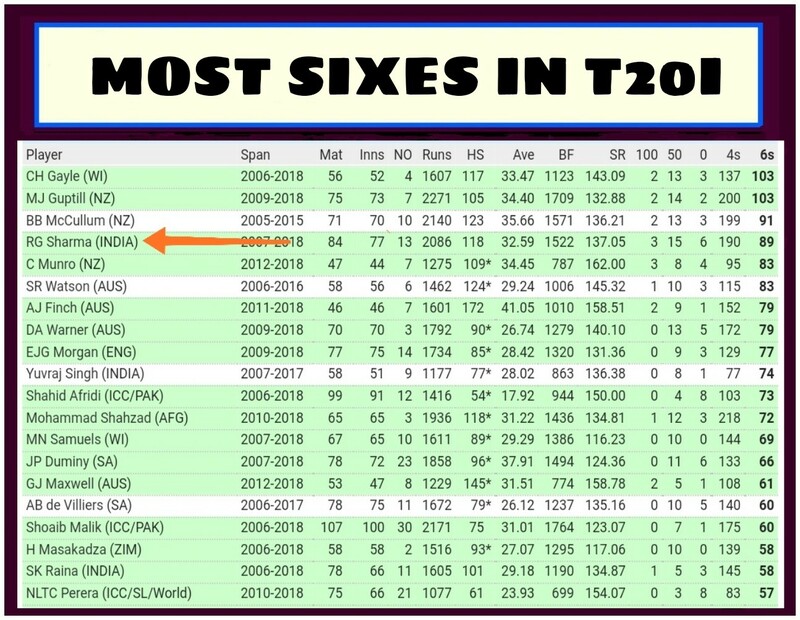 Right now he is in 4th place in the case of most sixes in T20ls. Universal Boss Chris Gayle and Kiwi opener Martin Guptill are at the top with 103 sixes. Rohit needs 15 sixes more in 3 matches against West Indies to overtake them and he will become the sixer king of T20 cricket. New Zealand opener Martin Guptill has the record of making most runs in T20ls, he has scored 2271 runs so far. 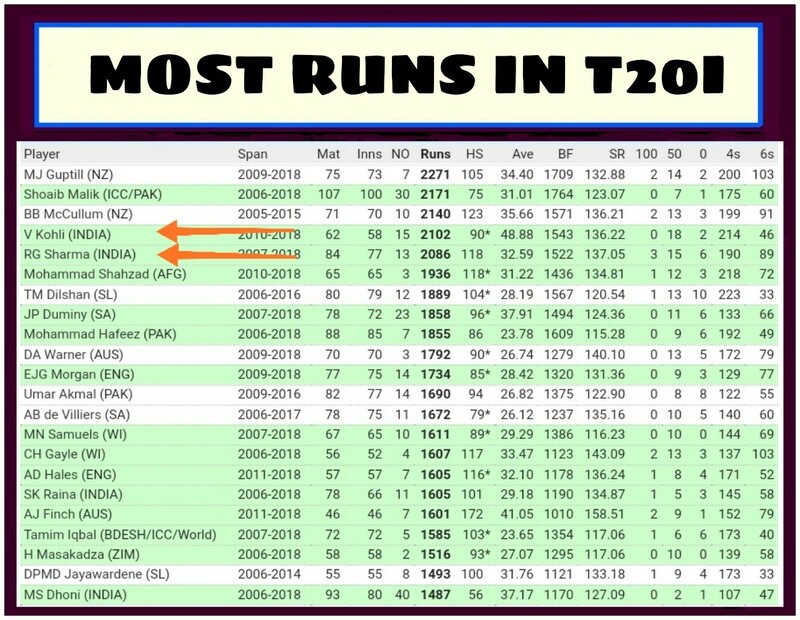 While, Rohit Sharma is in fifth spot in this list, he has scored 2086 runs so far. If Rohit scores 186 runs in 3 matches against West Indies, then he will leave Kohli, Malik and Guptill behind and become the highest run scorer in T20 International cricket.